Power lift chairs are mobility devices that are equipped to gradually lift a person slowly to a standing position or ease them into a sitting position. Lift chairs enable you to safely get in and out of your chair in comfort and without causing injury. They are very stable, so getting in and out of your chair will not cause the mobility device to tip over or move. Power lift chairs can either be two-position, three-position, or infinite position depending on your need to fully recline in the chair. Lift chairs have the option of massage and heat features that can be very beneficial for people suffering from arthritic problems. 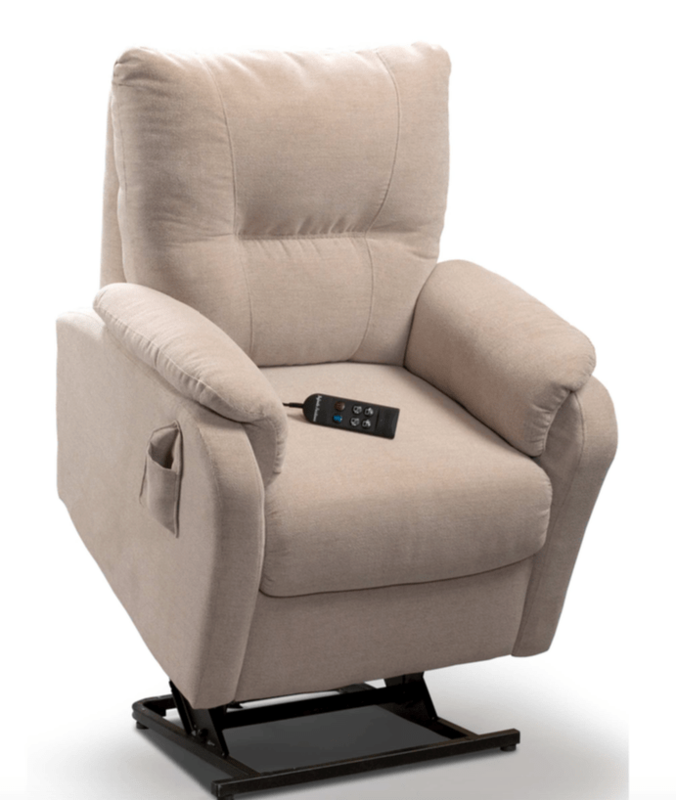 Power lift chairs are designed to look and feel like a home recliner (e.g. like a “La-Z-Boy” chair), providing confidence and comfort while fitting in with the other furniture in your home. The material and design can be customized to fit the design of your home. It is very important to ensure that your power lift chair is fitted to your height, weight and mobility requirements. You need to determine where the chair will be placed in your home and that there is enough room to ensure optimal use. Variables such as distance from a wall, whether it will be in the way as you and others walk in and out of the room, and whether it can fit in the room when stretched out to full recline mode need to all be taken into consideration when fitting a chair for your home. that your power lift chair fits your needs and your home.